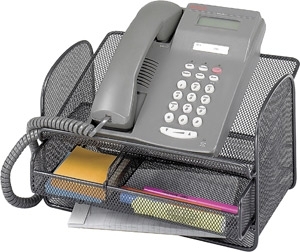 This black steel mesh telephone stand features a storage drawer with an adjustable, removable divider. Easily keep notepads, pens, pencils and other supplies close at hand to handle every phone call that comes in. Packed 5 per carton.